This is kind of an off-shoot of another topic regarding the interest in using American made guns in SASS competitions. 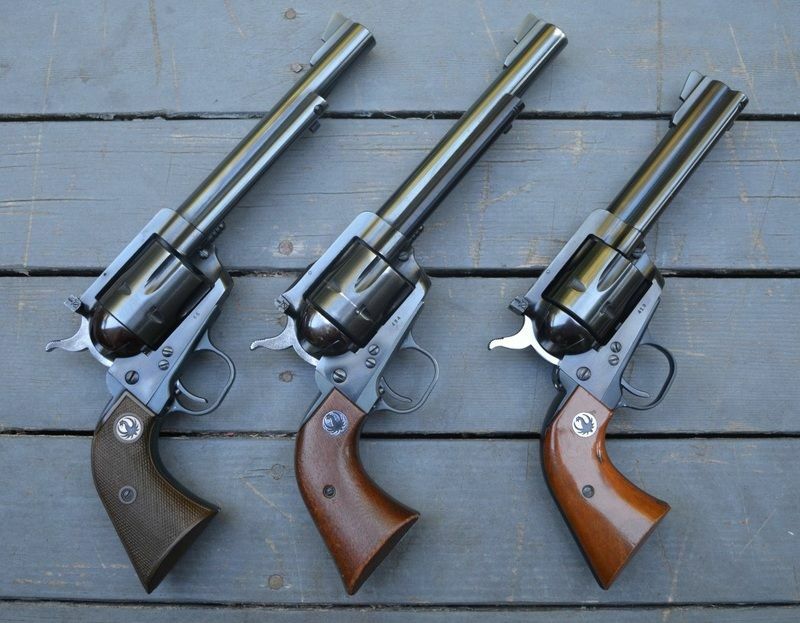 Just trying to get a sense of how many people are using Colt made SAA's of any of the generations for Cowboy Shooting, or if the Vaqueros and various imports have taken over the market completely. As a long time part of the firearms industry, I am asking to see if there really is a good need for the various spare parts that keep a SAA up and running for competition. I know from both my own research and that of my gunsmith friend John Linebaugh, that there is a complete absence of Colt replacement parts on the market. Certain parts are not to be found for love or money, and others are just in such tiny quantities that they could not keep an active shooting community running for long. Love to hear your opinions on this. I got a sweet pair a few years ago. I could not bring myself to take them to a match and putting a mark on them so I sold them. I shoot a pair of Custom shop Colt 44WCF. Also fitted for 44 Special cylinders. There are many that shoot Colts, for SASS/CAS. 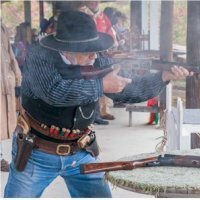 I shoot a pair of 3rd Gen SAAs, along with a pair of 1851 2nd Series for Frontiersman and Plainsman. I have clones, but these are my preferences... all reworked for reliable and consistent operation. Hipshot has only shot original Colts for many years as do many others. I am not sure why the OP thinks it is hard to get parts for them. Plenty of CAS supporting gunsmiths seem to have necessary parts or can get them. It is a rather specialized market so someone outside the sport might have an incorrect impression. Here are most of my Colts. Many of which I use for SASS. With three exceptions, these are all real Colts. The SAA's range from 1st to 3rd generation. The bottom middle one was my fathers. It and the one in the lower right hand corner were used along with the Lightning to shoot EoT clean earlier this year. Special bonus recognition to anyone who can spot the 3 non Colts in the bunch. Yep me too!! 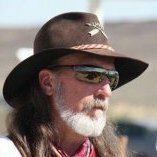 I have a pair of 4 3/4"Colts in .44-40 (.44 special cylinder in one of them) and I also have a oddball pair, one 5 1/2" Colt along with a 5 1/2" Smoke Wagon! I've used nothing but Colts since I started in the mid 90's ( that's 1990's although I was probably shooting mid 90 second stages too). Shot the Josie Wales shot at Tusco with 5 colts. Consecutive .357 third gens, purchased NIB. I shoot the snot out of 'em. The only thing I did was install Wolff Springs. If there are any differences between the two it's imperceptible. I'm gonna do my best to wear 'em out. You have seen this photo before. 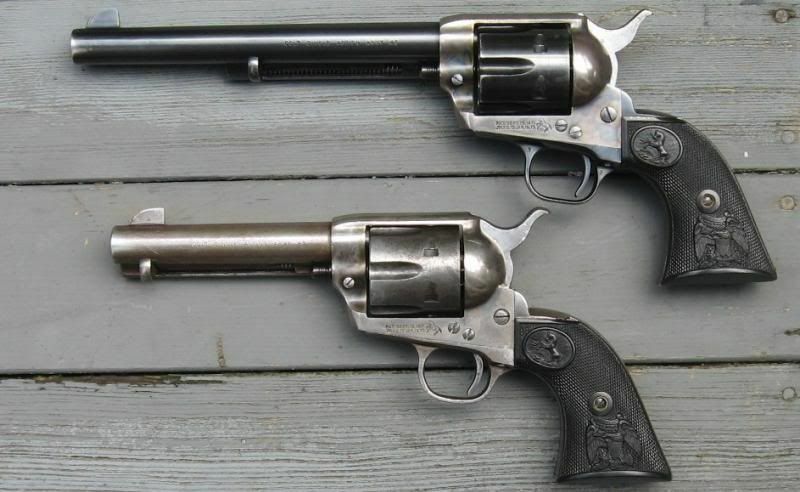 I shoot this mismatched pair of 2nd gen Colts, chambered for 45 Colt at just about every match. However, a pair of Ruger Vaqueros comes along to every match as backups, just in case. Over the last ten years or so I have had to grab one of the Rugers twice because of broken springs or other parts in the Colts. Frankly, the reliability of Italian replicas would not be any better. Once or twice a year, when the mood hits I will bring along this S&W New Model Number Three and Merwin Hulbert. I DO NOT shoot these pistols fast and hard. I shoot deliberately, and pretty slow. I do not care how fast I shoot. I try not to abuse any of my old firearms. Maybe next year I will have a Ruger Three Screw Day. You are gong to have to decide what market you want to cater to. Most SASS shooters want to shoot as fast as they possibly can, and that does lead to firearms breaking down. That is the reason Rugers are so popular. Many tune their firearms to within a hairsbreadth of failure. Those shooters will probably not be interested in esoteric replicas of 19th Century revolvers, rifles, or shotguns. A few of us march to a different drummer and enjoy shooting unique guns in SASS. I occasionally will bring an original Winchester made in the 1880s, and my Main Match shotgun is an old Stevens made around 1906 or so. These guns will not appeal to somebody who wants to shoot as fast as he possibly can. Have a pair 44-40 4 3/4 nickel and a pair of 45lc blued/cc 5 1/2 both have been shot in several matches. I shot my first two matches with this second generation Colt and an old Cattleman. I shot it a little a couple of weeks back. It needs work but I'm too busy with other projects to spend time and money on it. Desert Scorpion shoots a nickeled 2nd Gen and a blued 3rd Gen.
She started her SASS career shooting nickeled Frontier Scouts. Seemed only right to continue with the Colts. Top row, upper right pistol with the diamond mark on the grip. I've a pair of Colts tuned by Eddie at Peacemaker Specialists, and am shopping for a third Colt as soon as I sell a few Rugers. I used Rugers because that's what I could afford, now I want Colts, and if nothing else they'll make good heirlooms. Well, Widder, I am sorry to say, nope, nope and nope. All three of those are real Colts. The "WHITE GRIP" pistol is a 3rd Gen .44-40 Those are not the grips that came with the pistol however. They are a "Ivory laminate" grips that I found at a shop in Pennsylvania about 3 years ago that had the Colt logo on the package. (Which I kept.) As near as I can tell they are mostly wood, with a thin layer of ivory over the wood. "Top row, upper right pistol with the diamond mark on the grip." That's a 1st Generation gun, in .32-20 According to the Colt letter I got for it, it was made in the 1880's as a .44-40. The mods are why I got it so cheap! Colt has no records of the change, but two different gunsmiths who know old Colts think it was probably done at the factory sometime in the 1020's That's jyst a guess, of course, but it still shoots well. Interesting note: It letters as a nickel gun. All of it is nickel, except for the ejector rod housing which is blued. The Buntline is a 3rd gen .44 Special. I need one more Colt SAA 44 special . I need one more in .44-40!!!! Lower right 5-½", middle 1911, and Lightning. Pool Table ...... M-16 Sling and Bayonetta/Scabbard. I shoot either 38 special with a set of 2nd gens, one's a 1st year 38 Special, and the other is a late 2nd 357; or 45 Colt with a set of 3rd gens. Action work by Jim Martin. One to the primary reasons I got involved in CAS was for more opportunities to shoot my Colts. I shoot dualist, and am pretty slow, so I'm not stressing the guns very much. The 1st gens stay home. colts and rugers are made in the US. Other pistols are made in Italy. When it comes to 1897 shotguns then you have the choice between old US made ones or the the newer imports from the mainland of China. Did this answer the question? Add me to the list. 1st 2nd and 3rd gen Colts. Well, Griff, you are close. 2 outta 3 ain't bad. The Lighting rifle is an AWA The lower right 5-1/2" SAA is an Armi San Marco. But the middle 1911 is a real Colt. It's one of the new original 1911's that they made in the early 2000's I took it back to Hartford and had them put the ambi safety on it at the factory. Special recognition now goes to Griff for getting 2 of the 3. Good for you, Griff. Shall I reveal the third, or does anyone else wish to guess? 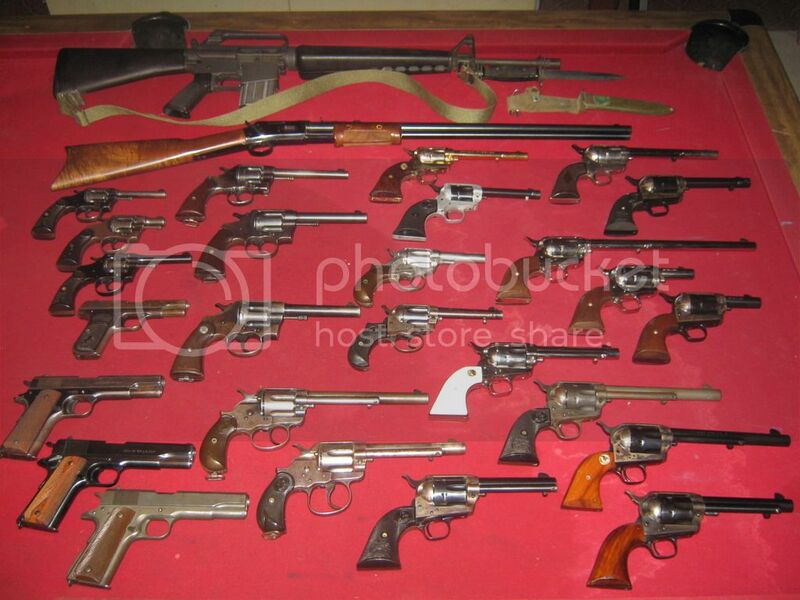 Third gun is the DA revolver, second row, second gun below the Lightning. 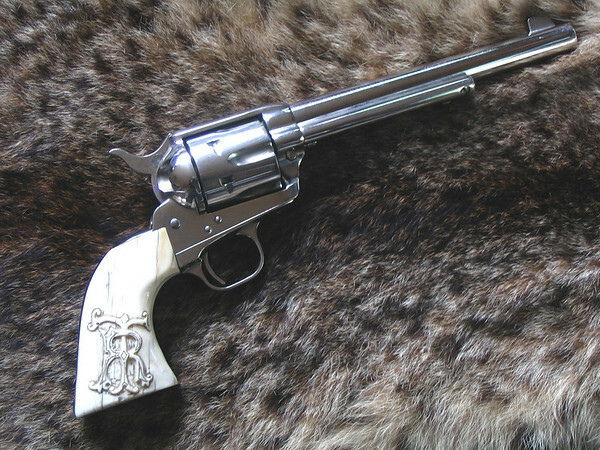 Base on the size of the grip hardware and the fact that many manufacturers in South America copied Colt and S&W designs. My observation is that 3-5% of regular CAS shooters use real Colts. Some of those shoot other guns but have original SAAs that they bring for a 'fun' match. Some of those are B-Western adherents that will only shoot what Roy, Lash and Gene used. My guess is based only what I have seen while shooting only in and around NC. Nope. 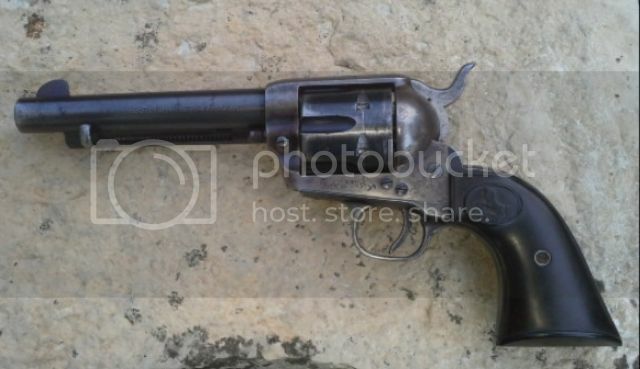 That's a Colt 1909, .45 Colt, genuine US Army issue. My Mentor & now retired shooter "Grabby" used to shoot a first generation Colt in 44-40. 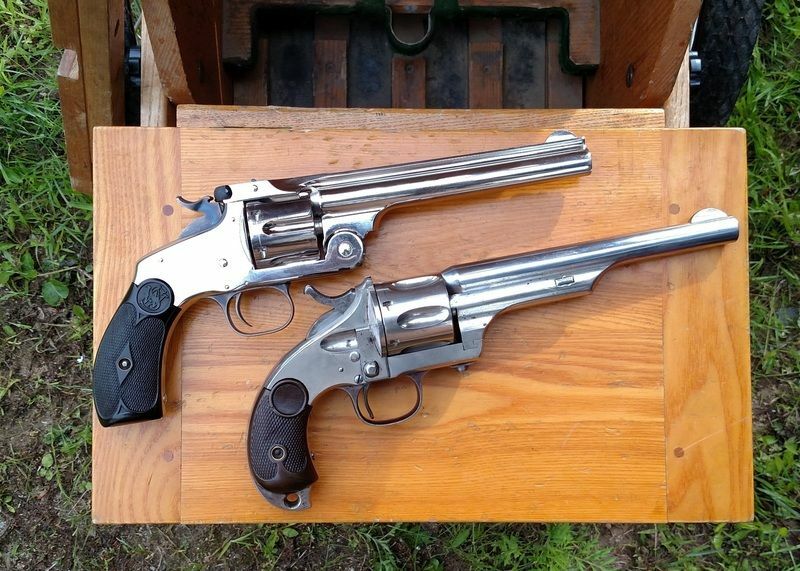 I recently acquired a pair of sweet Colts in 44-40 with 44 Special cylinders as well. I have been shooting a pair of second gen Colt's since 2002. Only 1 repair. Tuned by Cody. Love them. ... also have a pair of nickeled .45s that haven't seen a match yet. Yes indeed. Mostly 3rd and 2nd gen.